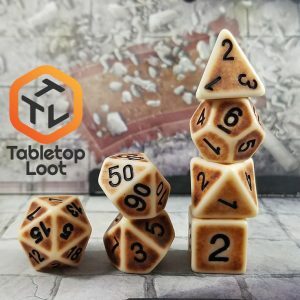 in the shape of geometric stones – Do you take them? 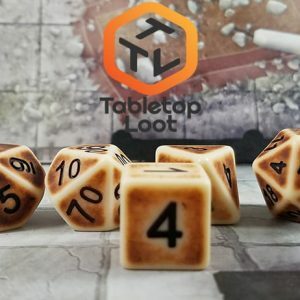 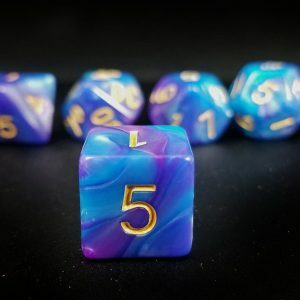 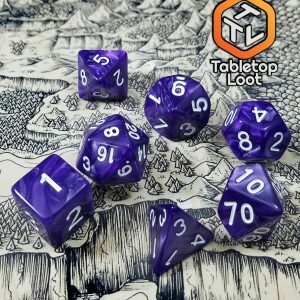 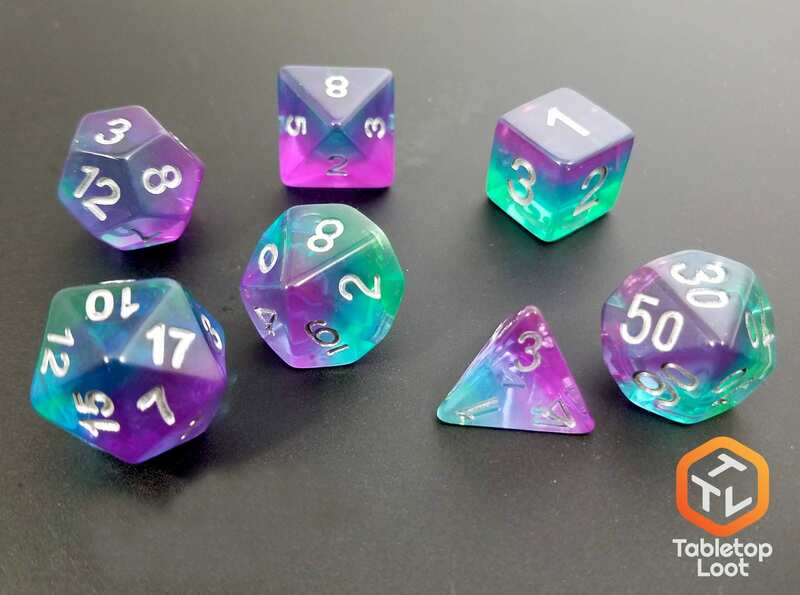 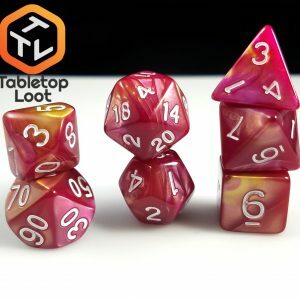 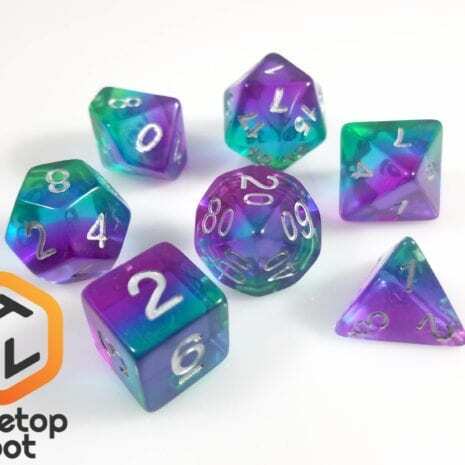 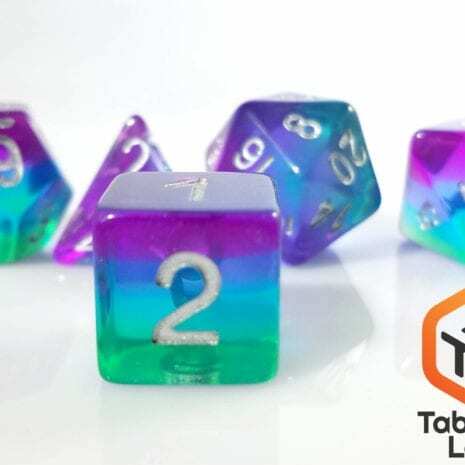 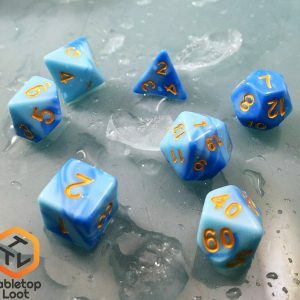 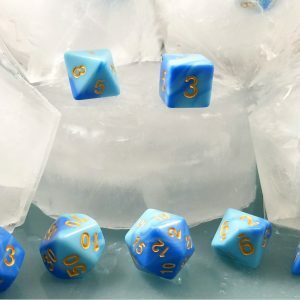 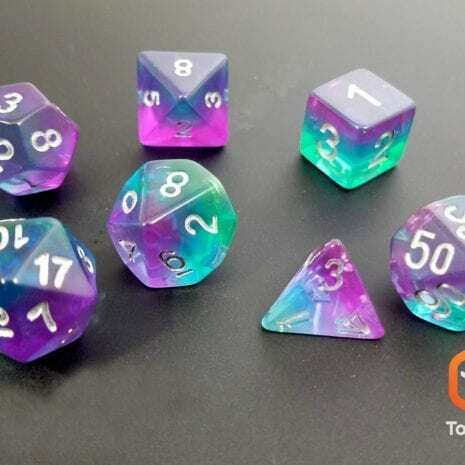 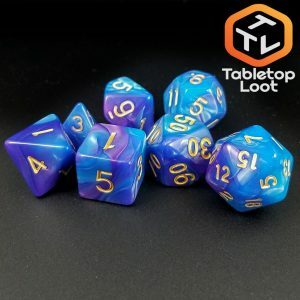 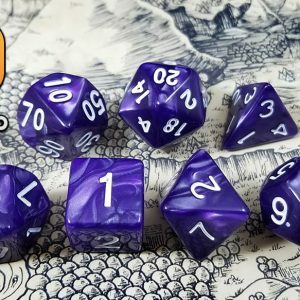 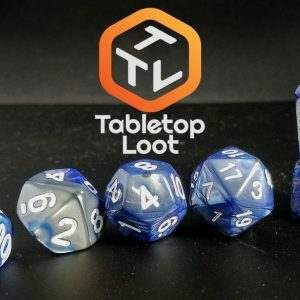 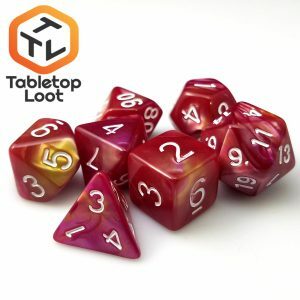 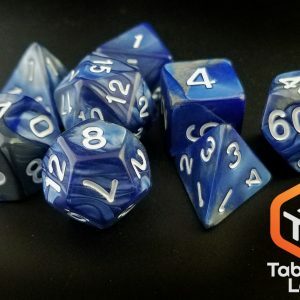 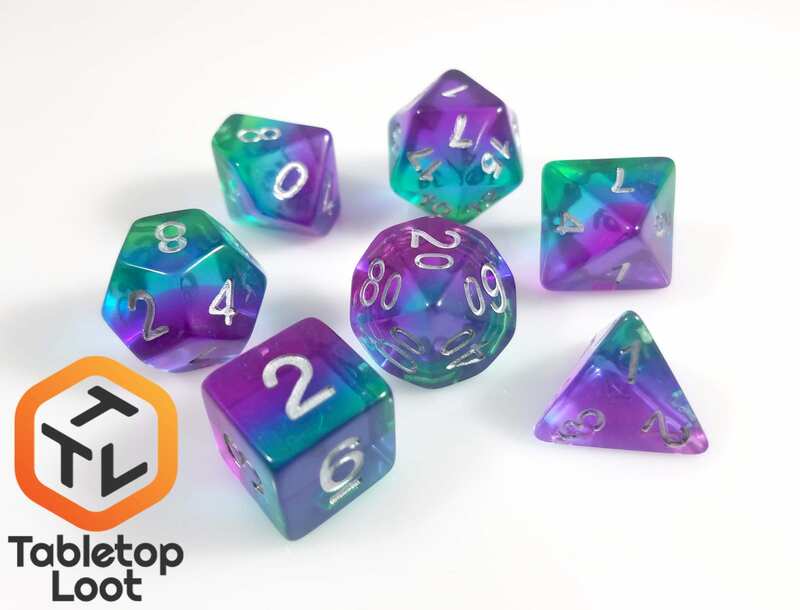 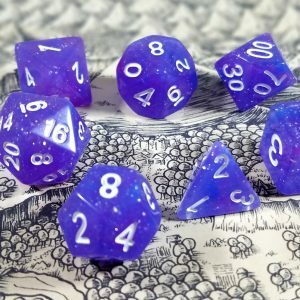 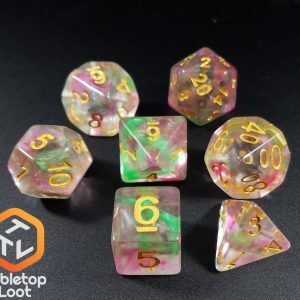 These dice are a beautiful mix of translucent blues, greens and purples with silver numbers. 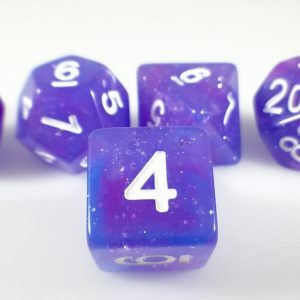 Hold one up to the light!